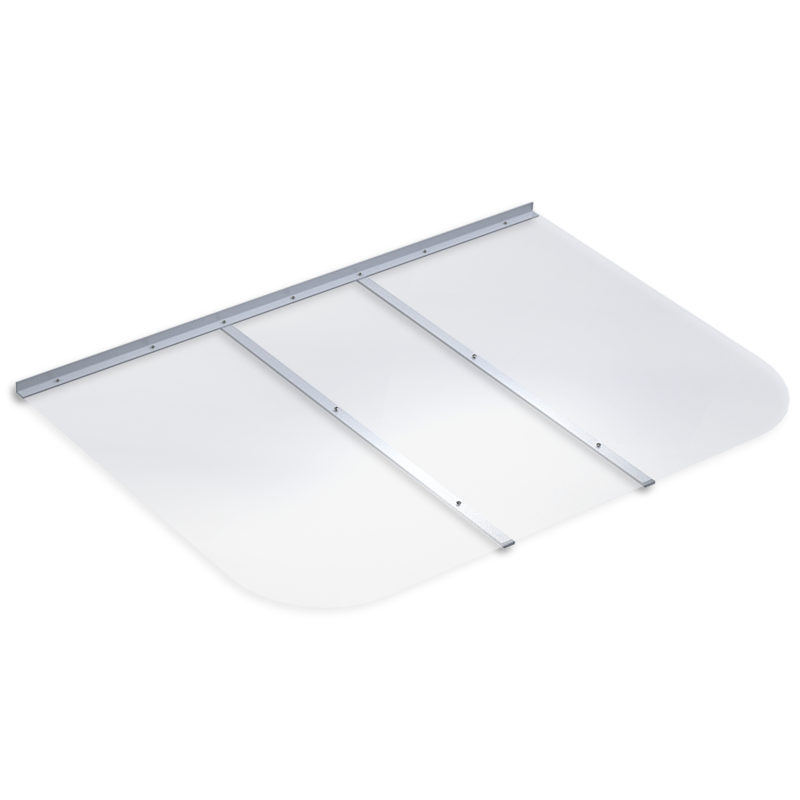 The Ultra Protect basement window well covers are manufactured from only the highest quality, UV-resistant, High Impact, exterior grade sheet polycarbonate plastic. When properly installed using our "SAF-T Lock" Locking System, a cover can support up to 250 pounds. 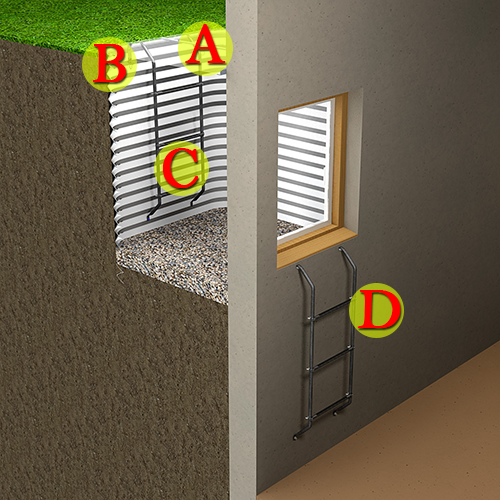 The "Ultra Protect" basement window well covers feature a patented "SAF-T Lock" locking system which cannot be opened from the outside of the home. A "pull pin" release allows you and your family to quickly get out of the window well in case of an emergency. Rear support brackets (left) and well clips (right) are also available. 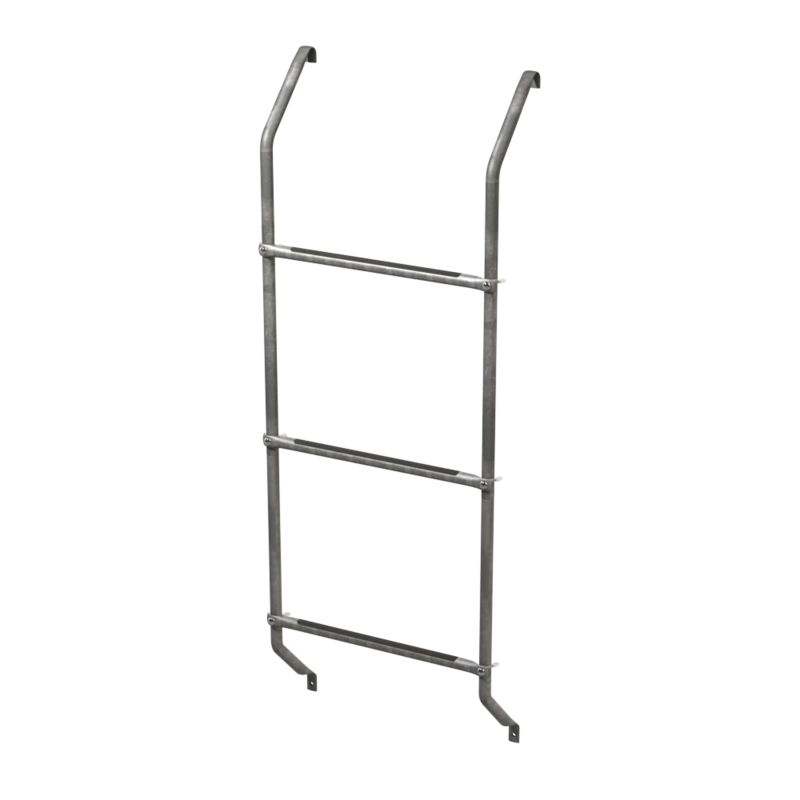 Dyne, Inc. manufactures the highest quality window well egress escape ladders. There are sizes available to fit any depth window well. Because each Ultra Protect window well cover is manufactured with the highest quality materials and individually checked prior to shipping, we are certain that our products will perform for a lifetime. 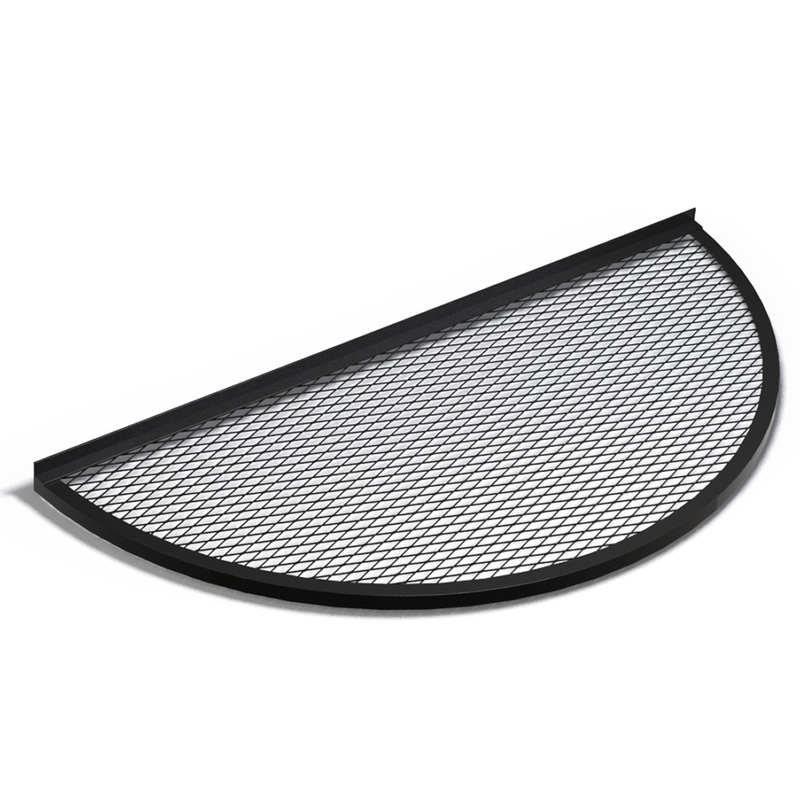 Each Ultra Protect window well cover comes complete with a 10-year warranty. Window well covers, Egress/Escape Ladders, and cover hardware are available. 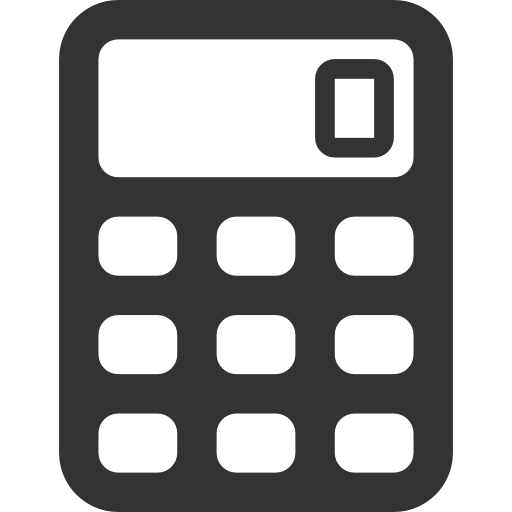 Browse our FAQs to answer any questions you may have regarding our products and their uses.